I have a strategy to get you started: fear. 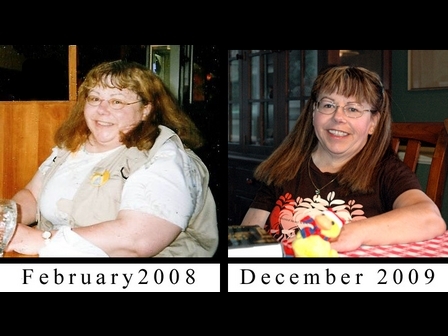 In March 2008, shortly after the “before” picture was taken, I was hospitalized with an exacerbation of asthma which had been treated with prednisone three times in the preceding a month and a half. I have Type II diabetes, and prednisone can raise blood sugar levels; it raised mine to nearly 500, approximately five times a healthy level. I went to the emergency room, calling my boss on my cell phone to apologize for my apparently imminent hospitalization and suggesting how my work might best be divided in my absence, and was admitted after four hours in the emergency room failed to raise my blood oxygen or lower my blood sugars. Depressing as this situation was, it was my turning point, giving me the determination to do whatever was necessary to become healthy. At that time, I weighed 271 pounds. 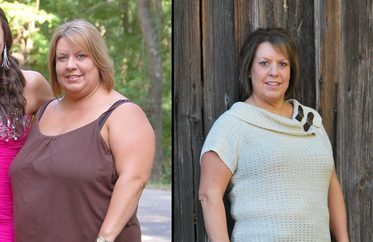 I am short, about five feet tall, and even as a 35-year veteran of at least five commercial weight loss programs, I was still fat, getting fatter every year. 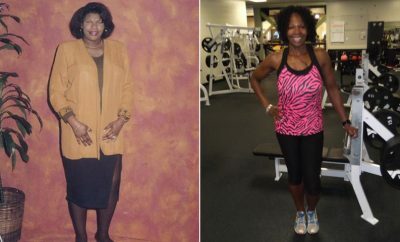 I learned to inject insulin and to count carbohydrates and eventually began to walk. That’s all I could do at first, just walk — outdoors in good weather, indooors on a treadmill in the Northwest rain. Eventually I added some other strategies, a balance ball, Pilates equipment that I sometimes think I’m using correctly, running — or really jog/walking — anything I can do to stay motivated. When I learned I had Adult Attention Deficit Disorder, the medication I was prescribed had the happy side effect of suppressing my appetite, which had already become more normal once my blood sugars were controlled. I have discovered that overeating, like figiting, irritability, and breaking into conversations to ask questions, is a common symptom in hyperactive or mixed-type ADD. Without treatment, it’s pretty hard to stop. To date, I have lost 94 pounds in 22 months and currently weigh 177 pounds. It has been mostly slow, unheroic work, and I wish, a little irrationally I suppose, that I could say I had lost 100 pounds instead of just 94. I actually thought I had lost that much, but my bathroom scales aren’t as accurate as my doctor’s. I have decided that 138 pounds would represent a healthy weight for me at my age, though the BMI charts say I should weigh between 101 and 132 . My doctor would be happy if I got down to 150. I suppose I would be happy with that, too. Every day I exercise is a victory. Every day I count carbs and eat vegetables is a victory. Biggest Losers, move over — I know this is a lifetime challenge, and I believe I am finally up for it.